It can be hard for us sometimes. Each day we see the children who have a fantastic aura surrounding them as they burst in to the room greeting us, the smiles and laughter are infectious and could bring a smile to even the most sullen of us. It even works when they're being naughty; you tell them off and walk around the corner so they can't see you anymore and chuckle to yourself… They make our work so enjoyable as they are a pure delight to work with. Unfortunately, we can't control what happens when they get home. 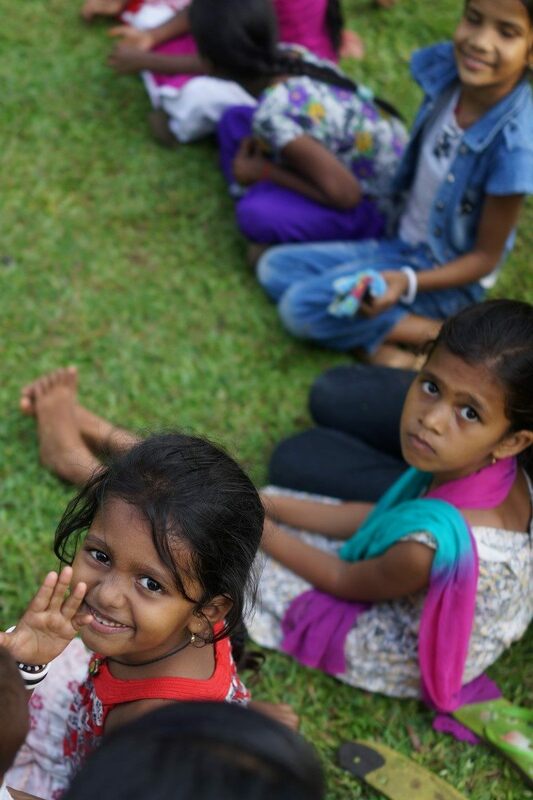 For those who don't know all of the children we help live with their families, many are from single parent families and we do help a few orphans, although they continue to stay with extended family, like grandparents and aunts/ uncles. At the beginning of this week Robert had a call from one of the girls, it was around 6:45pm and we had seen the girl the day earlier in the day. She had mentioned to one of the staff about her father complaining she was not doing work at home, but we didn´t think it was anything too serious. As you can imagine, we didn´t quite know what to say and wasn´t sure what the problem was so Robert asked "Why? What problem? ", "Where are you now?".. Robert spoke to her and said he would visit her home and have a chat to find out what the problem was. Within 10 minutes Robert reached her home and found her sat in one corner of the room, tears running down her cheeks; her mother was there. The girl asked Robert again, in a broken voice "I can come and stay at your house? ", Robert replied saying that it wasn't quite as easy as that, as she was just 14 years old, we would need to speak to Childline to see what the procedure was. The girl explained that her father had been complaining that she never did any work and was always out roaming, he continued by saying there is no point in her going to school, she should just stay at home and work. The girl is from a Muslim family and it can often be more challenging to convince the parents that girls should also be allowed an education. 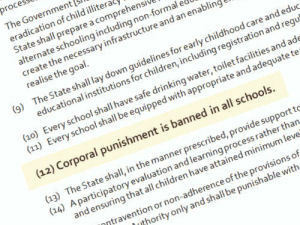 The girl is still just a child and needs to attend school (this is thankfully backed up by law). Many of the families we help have a preference for their sons, often not caring about their daughters' education, wellbeing or freedom. This particular girl´s brothers seemingly have full freedom to do as they please, but when she would like just a fraction of what they have she is treated with contempt by her father. The girls' father had said don't go to school and if you leave the house then you don't need to come back! Robert continued to speak with the girl, but it was a little difficult speaking with her mother who doesn't speak any English and the girl was too upset to translate. Robert called on Yallama (our teacher) to come and help out. Thankfully she just lives 2 minutes away, so they both, Robert and Yallama, returned within 10 minutes. With the help of Yallama, the mother opened up and confirmed that her husband was quite an abrupt man and that is just how he is, but she didn't feel the same. Even though she didn't agree with her husband's words she didn´t speak up against him. We explained that it was important that her daughter continue at school and we would need to act on her behalf if she was not allowed to go. 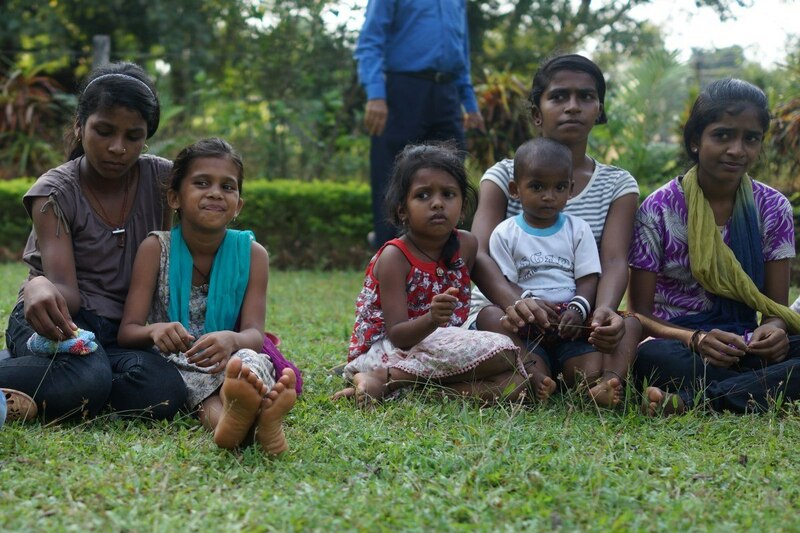 The mother seemed to understand and we highlighted that Goa Outreach provides everything she needs so there is no burden on the family, and if the girl didn't go she would just be sat at home, not doing anything productive, which made no sense. 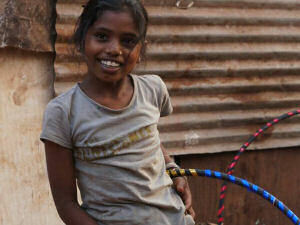 We spoke of the benefits of education and that she as a child has her own rights under law. Robert and Yallama had also met the headmaster earlier in the day who informed the mother that the girl was well regarded and considered a good and helpful student, which we hoped would give them some pride in their daughter. The girl's father joined us a little later and seemed to fit his description well, he was very short and sharp with his language when speaking to Yallama which made Yallama feel a little uncomfortable speaking with him but she stayed a little longer, which we are grateful for, backed up by Robert. The father was of the opinion this was his personal problem and he didn't want to discuss anything about his daughter, her education or anything, he wasn't aggressive but showed a lack of empathy and wiliness to see his daughters side. We left around 8:15 and made it clear that we expected the girl to continue her education and hoped she would be at school the next day. 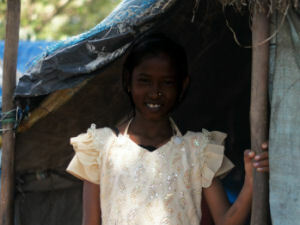 Sadly our meeting with the family didn't seem to change their minds and the girl missed school the next day. Robert and Yallama went to school to check and speak to the head master. The headmaster kindly offered to call up the father to ask why she hadn´t come and her father claimed he didn´t know as he was at work although he works just 5 meters away from their home. Robert and Yallama once again visited her home and spoke to the mother. This time we made it clear that we would have to involve Childline and the police. Robert called up Childline in front of them both, this time her mother said she would back up her daughter and walk with her to school if she had to. Yes! We thought. Thankfully our second visit was more successful and we are glad to say that the girl has been attending school every day since. We will continue to check-up on her and fingers crossed everything will be fine and she can at least finish this years´ studies. We will have to see what happens in the new school year. 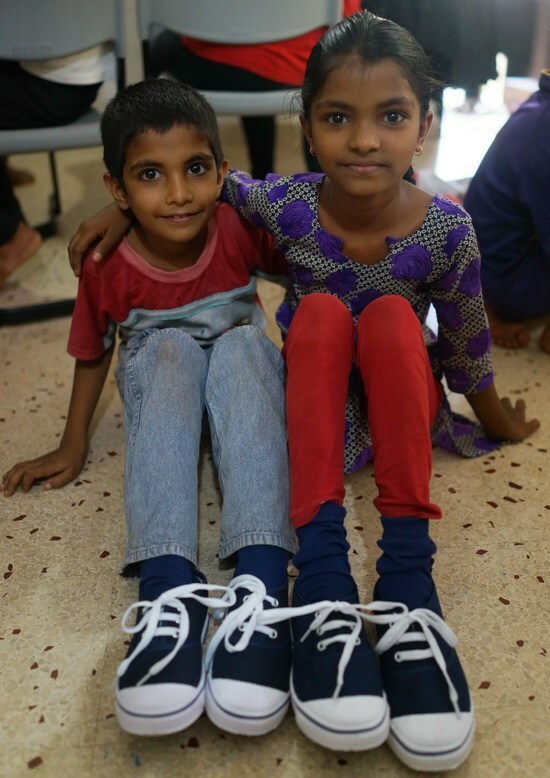 At the end of the Diwali holidays the children return to school and their return signifies the requirement for summer shoes. 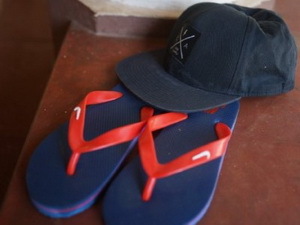 Most schools change from the wet weather sandals used during the monsoon to blue and white canvas shoes for the remaining school year. Due to the number of children we help it´s a very busy time as we arrange sample sizes so the children can 'try' before we buy. Each one of the 100+ children come and try on the samples and once everyone is done we put in an order and the shoes are delivered. 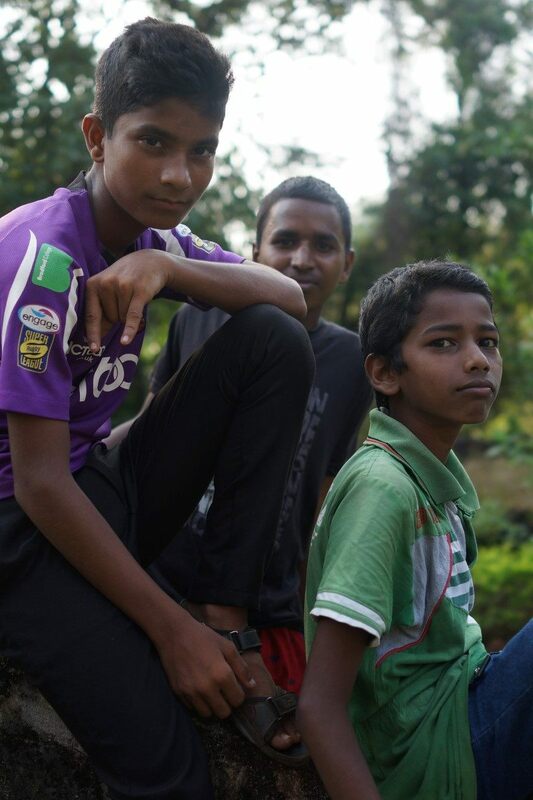 We have 125 children in total this year, although a few have different requirements and the ones going to college have a freer rein on the style they want. This year everything was quite organised and nearly all the children were sorted before the first day of school, but there were a few children who hadn´t come to check sizes and their footwear was a little delayed. Happy Children's Day - Make it special! 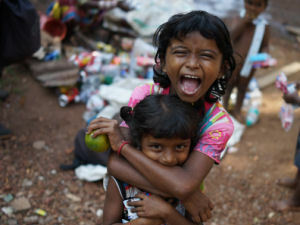 Children's day is celebrated in India on November the 14th to coincide with the birthday of the first Prime Minister of Independent India who was known for the love he had for children. 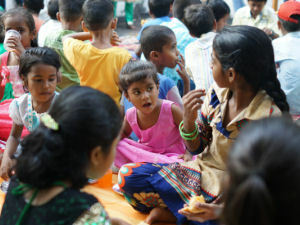 This year, as always, we celebrated with the children and it proved to be a very busy day! On the morning we went out and bought goodies for the children and later toured local slums giving small presents to them. 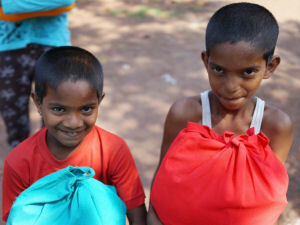 Some of the children had also been invited to take part in a party organised by Childline so they put on their best clothes and were picked up by minibus. A huge thank you to all the Childline staff, Yallama and Panjali (and the kids of course) for making it such a wonderful (tiring) day. 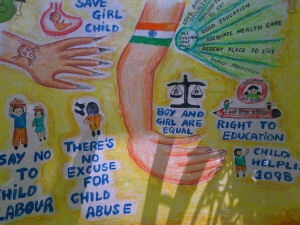 Over the last year Robert and Goa Outreach have worked together with Childline on several cases. It is a really quite small organisation and it´s always good to have a well known organisation like Childline to help out when the need arises, which it sadly does more often than we like. One of the simplest of our connections was from a phone call from Kerela when a young school girl had run away from home and ended up at a train station in Kerela. 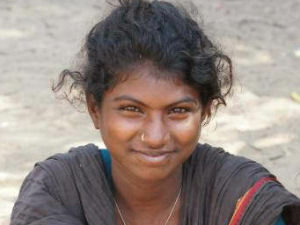 Goa Outreach got a call from a passerby as he saw the school girl sat alone. He searched online for NGO´s in Goa and found us. 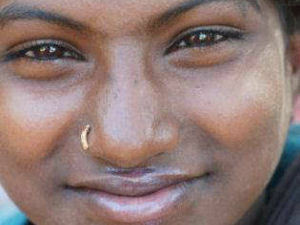 We worked with Childline who then managed to locate her father and get her back safely home. Robert has contacted Childline on several other issues over the last few months, once having to get the police involved, but thankfully we manage to sort most things out before having to go to the next level. 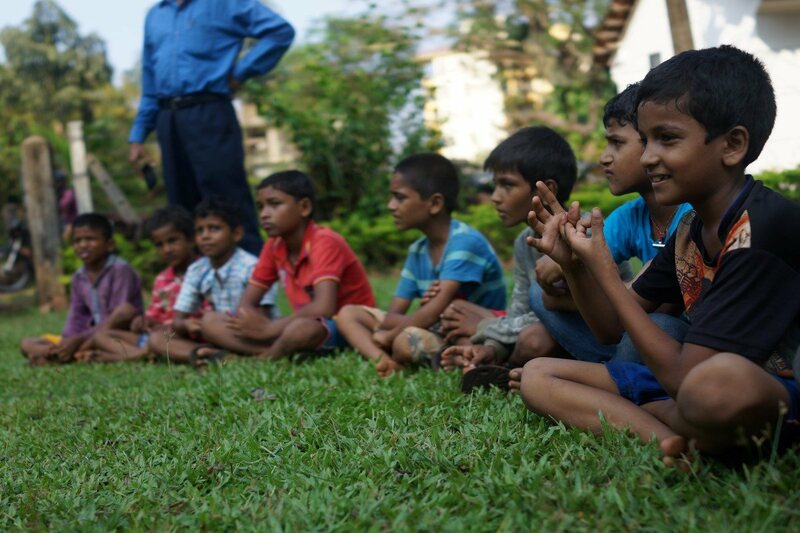 Robert was invited to an event at the Childline office in Panjim to highlight the start of their 'CHILDLINE Se Dosti´ week. He wasn´t quite sure what to expect, the small invitation really just mentioned that the chief guest would be the Director of Women and Child. Robert arrived at the event 10 minutes early and was guided in and asked to sit in the front row. He was hoping that he wouldn´t need to speak as he hadn´t prepared anything and really wasn´t exactly sure what would be involved. After a while the event started with the lighting of candles and an introduction to the guests and a talk by the Childline staff. It then came to a ceremony where three people were to be awarded for their help with Childline, Robert being one of them. It was such a nice surprise for him. Two ladies were also awarded, Dr. Meena P. D'souza, a paediatrician, ex Head of Department of GMC who consults for their major cases and Namrata who worked for Childline for many years and had recently left. 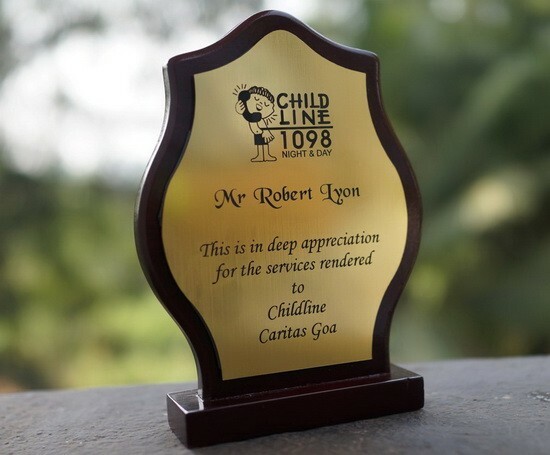 "This is in deep appreciation for the services rended to Childline Caritas Goa"
Robert didn´t have to say anything, just receive the award and smile, which he was delighted about. 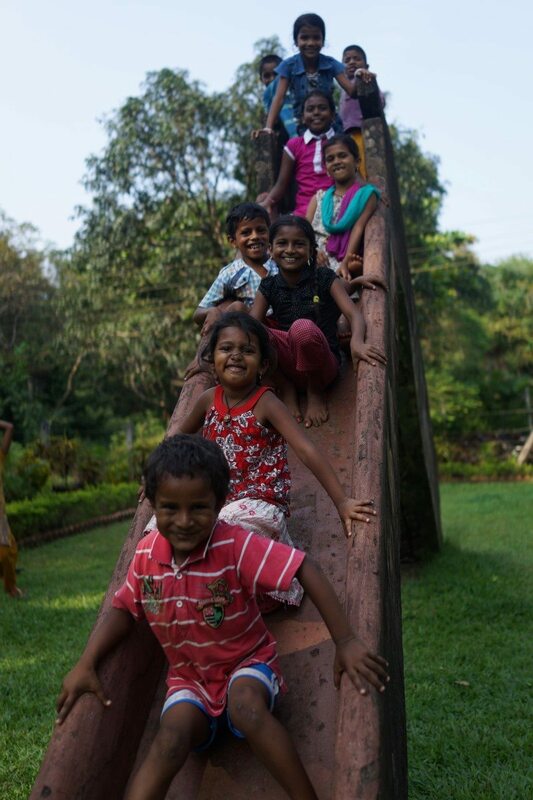 a huge thank you goes to all the staff at Childline, Caritas - Goa and the visitors who made the day such a memorable one. 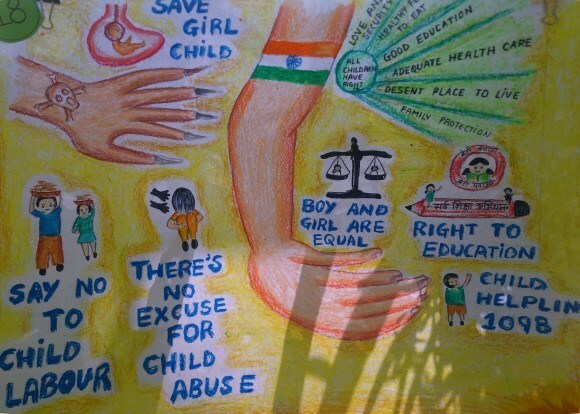 Childline (1098) has worked with Goa Outreach on several occasions during the last year. 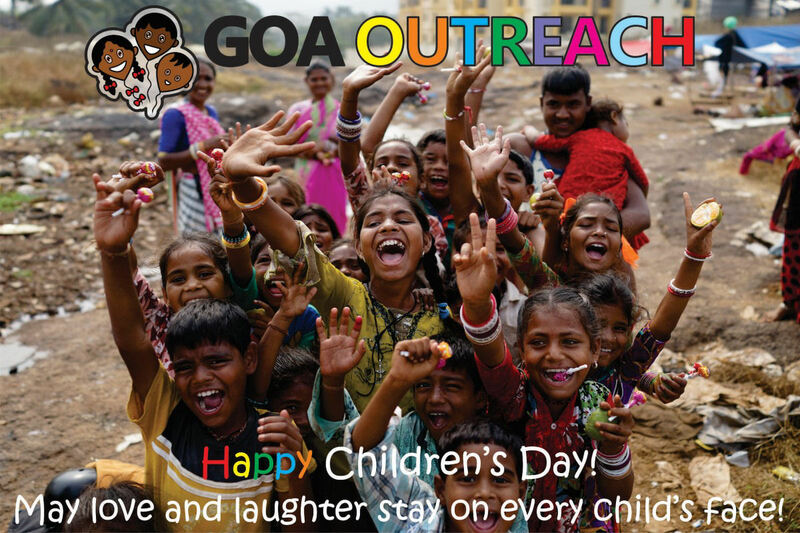 Due to this increased knowledge about Goa outreach, Childline has kindly invited some of the children to a special Children's Day party on the 14th November. Before the party, Childline wanted a group chat with the children to inform them about what Childline does and how the children can get help if they need to. Two social workers from childline came for the day and spoke to 30-40 children at the local park. 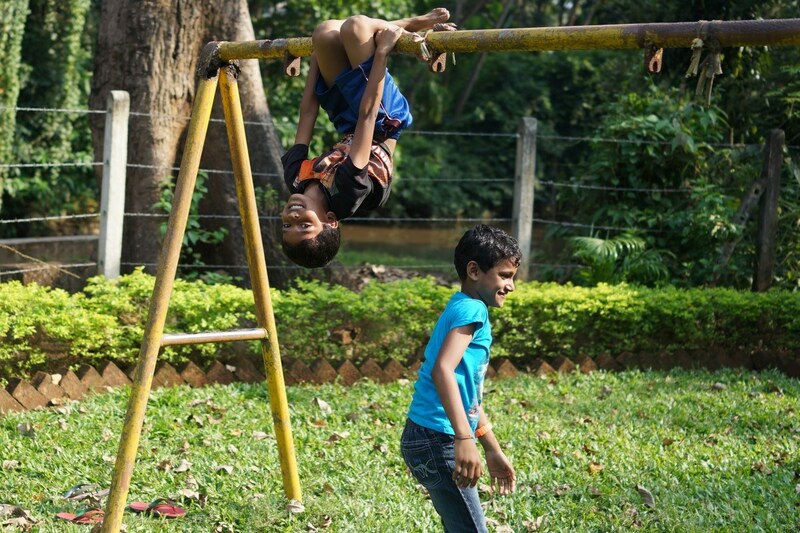 It was a nice day in the shade of the trees and we would like to Thank Childline for their continued help for children all over India. Here are a few of the photos from the day. The only way to do great work is to love what you do. And for children´s to know what they love is to find one. Thanjani a Christ Institute of Management (CIM) student from Pune contacted us as she wanted to put on a small programme for the older children. We organised for her to pop in for a chat and to meet some of the children, Robert and Thanjani had a good talk and she met a few of the children who had come to the centre to learn cross stitch and do homework. Thanjani was given a 'crash course' on everything about 'Goa Outreach'. 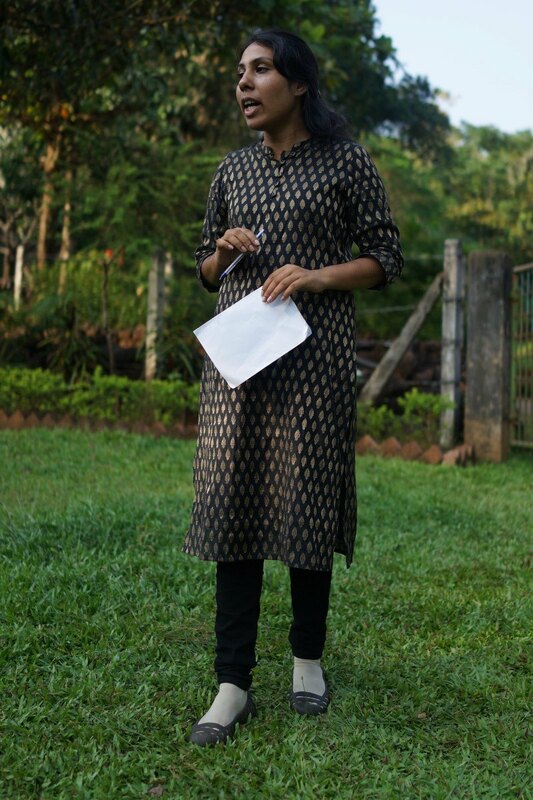 On first meeting Thanjani you realise that she is full of energy and ideas, even though she only found out about us the night before, she crammed in lots of research and completely understood who we were and how we ran, even before arriving. After spending an hour and a half chatting away she mentioned that she hoped to return and put on a small programme for the children. 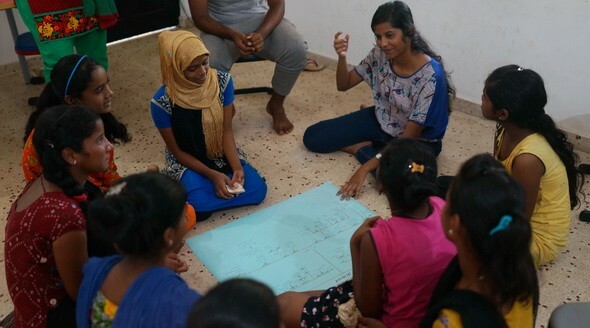 The next day, Thanjani came in and was eager to get started; she had been working hard the day before creating two large charts outlining the paths the older children could take after they pass 10th Standard (Similar to GCSE level in the UK). As it was a little short notice we took a drive down to the slums to see who was available, unfortunately even though it was school holidays a few of the older students had gone to school for extra classes. 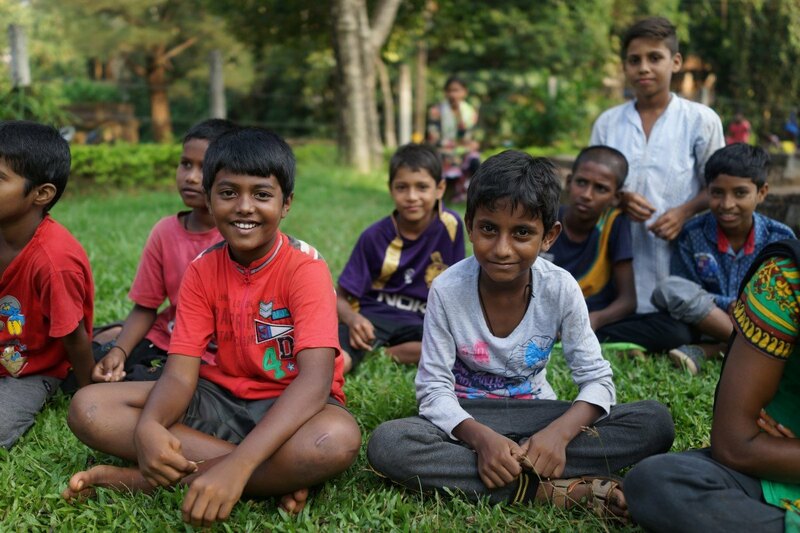 We rounded up the remaining children and brought them to the centre for a small talk about their futures. 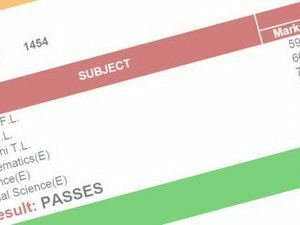 It might seem like miles away for some of the children but for others these decisions are important as they have their final exams coming up in April when they need to start thinking about their future. The only way to do great work is to love what you do. 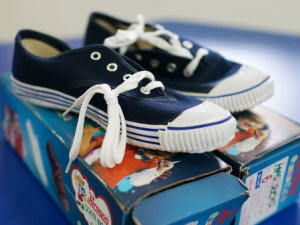 And for children´s to know what they love is to find one. 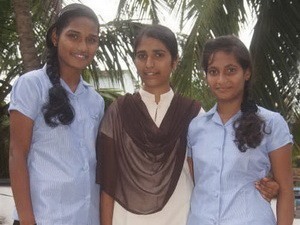 The students of 8th, 10th and 11th today underwent a career guidance session. They learnt what courses are available post 10th and 12th grade. The 1 hour session was an overview on various opportunities available for students in India for education. The students who knew their goals found certain paths to explore while the young kids could think of possible choices and start preparing. The session was concluded with how to set SMART objectives and a quote - "Write Your Own Story".